To fulfill the promise that every horse and dog will be massaged because of our trained massage therapists. To ensure that our students are receiving the most thorough, complete curriculum available. To firmly hold to the offering of our curriculum both at our facility and through the homestudy courses at a reasonable and fair cost. In doing so, we will make the therapy more accessible to those wanting to pursue a career as a Certified Equine or Canine Massage Therapist. Equissage is an Approved Provider with the National Certification Board for Therapeutic Massage Bodyworkers (NCBTMB) to offer 50 hours of Continuing Education units through our programs. 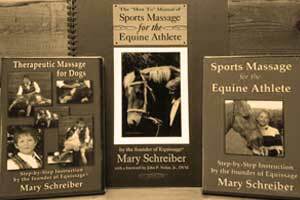 The use of theraputic Massage for horses and companion animals really took off in the '80s, but it's been used since the dawn of civilization. 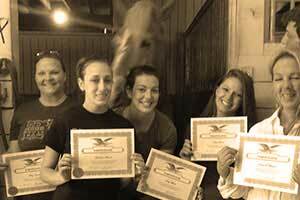 Equissage now offers an optional dual certification program for Equine and Canine Massage Certification.